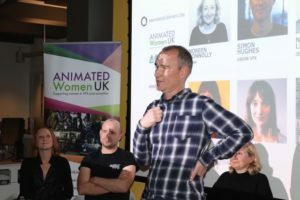 In response, Animated Women UK, in collaboration with ACCESS:VFX and Animation UK, hosted a panel of representative speakers to discuss the key issues of gender imbalance within the Animation and VFX industries. The sold out event took place at The Mill with over 100 people in attendance, including professionals, early career starters and students. The energetic atmosphere of the audience clearly highlighted the importance of the topic to be addressed. 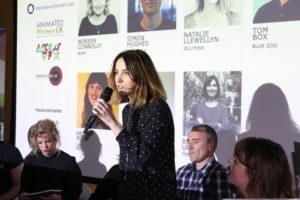 Chaired by IBC’s Alana Foster, the opening question asked was ‘why is animation & VFX equality and inclusion important?’ The panel agreed that the creative industries need diverse talent in order to generate a range of animation and VFX projects for a wider audience. 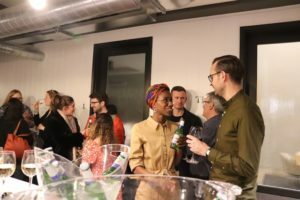 Ross Urien noted that the creative industry is driven by original ideas, so diversity is vitally important as good ideas don’t come from one place. Why is the animation sector statistically doing better than VFX in terms of gender balance? 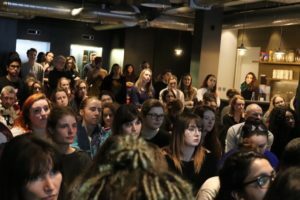 The panel were asked why pursuing a career in animation had a significantly larger draw for women than VFX? Claire Michaud explained that VFX heavy blockbusters have traditionally been targeted at boys with animated content seemingly aimed more towards girls. Tom Box added that the issue could also be about accessibility as we tend to be exposed to animation from a younger age, whereas VFX is more of a hidden art form and much of the effects work is invisible. Natalie added that the understanding of animation and VFX as viable career options needs much more awareness. This ‘discoverability’ element is key and further work needs to be done to educate children, teachers and parents. Fantastic initiatives, such as ACCESS:VFX and STEAM events are helping to spread awareness in schools of the potential career paths into these industries. How can we attract and retain women working in the industry? The panel reflected on the perception that animation is more creative than VFX, therefore more feminine, ergo attracting more women to work in the sector. This view potentially starts with representation and how an interest in working in animation and VFX is generated. It was agreed that attracting & retaining women into the industry needs better support, beginning at an educational level and throughout career progression. Mentorships are a key factor in career development, as Noreen noted that at The Mill everyone has a mentor. “t’s really important to develop people”. Taking the initiative and reaching out to someone you admire can also be a good strategy for finding a potential mentor. 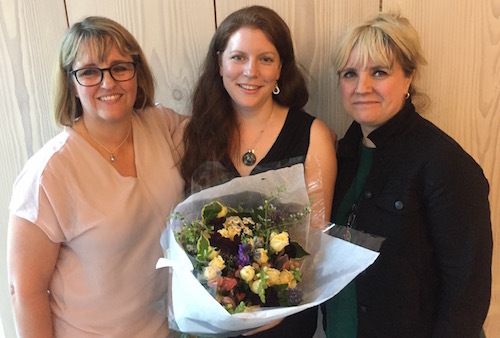 Networks and industry recognised schemes, such as Animated Women UK’s Helen North Achieve Programme, are also helping to bring women in the creative community together to access advice. 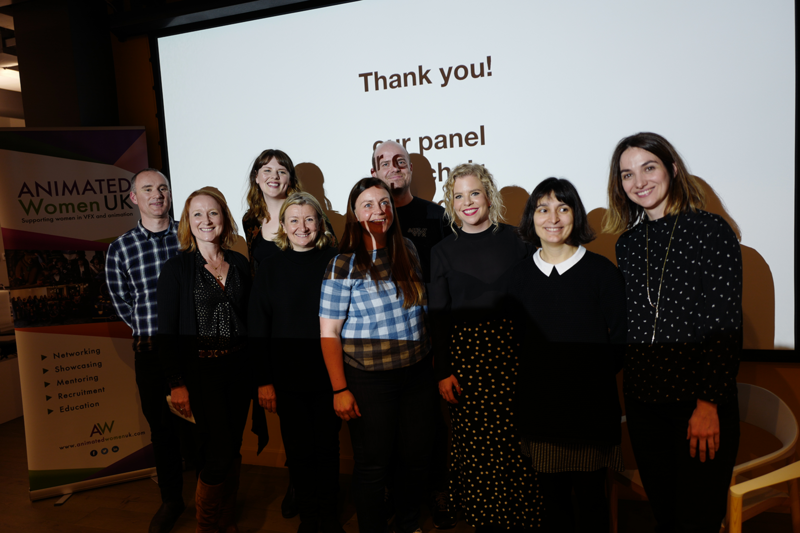 Overall, the panel were very positive on the outlook for a gender balanced industry, however, it is clear that there is more work to be done to improve the current diversity statistics in the animation and vfx industries. Animated Women UK are committed to working towards a #BalanceforBetter future, continuing our mission to support women from all backgrounds of the industry at every stage in their career. Helen Piercy is AWUK’s Education Advisor. Inspiring Females | STEM or STEAM? 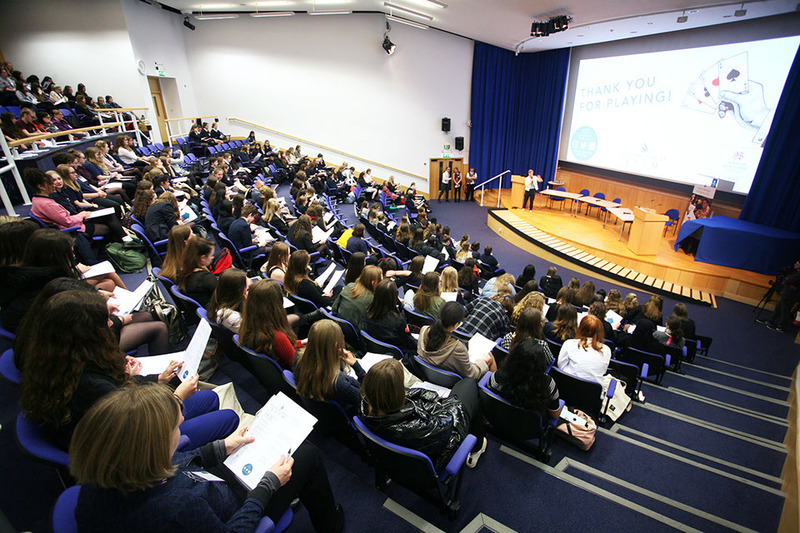 I was very pleased to be invited to speak about my career in animation and education at the ‘Inspiring Females STEM’ conference at the John Innes Centre, Norwich. 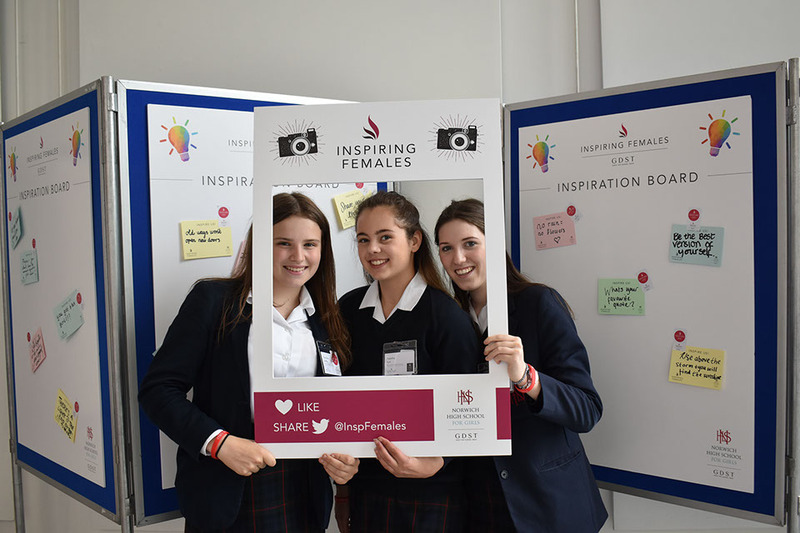 The programme, designed by the students and staff at Norwich High School for Girls, was created to encourage more young women to pursue careers in STEM (Science, Technology, Engineering and Maths) – all areas that have a significantly low female workforce. The impressive line-up of speakers for the day included women at the top of their professions; Directors, Professors, and Doctors. 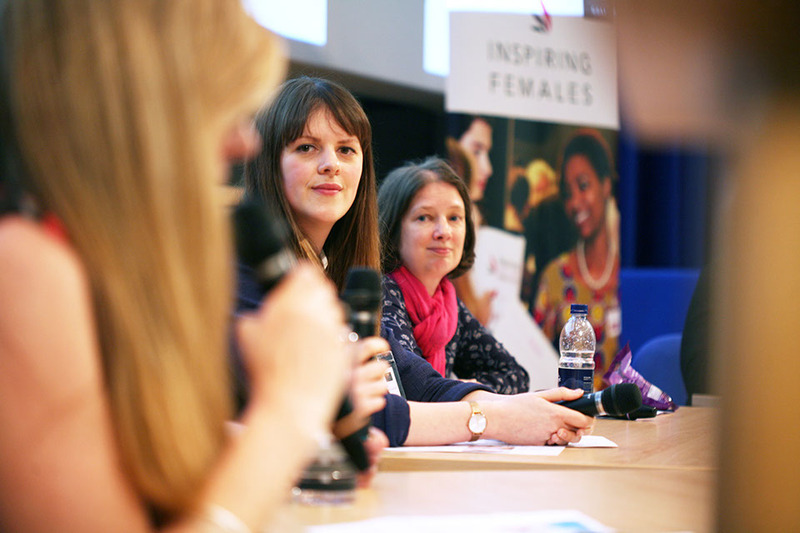 During the first event, I had the opportunity to speed mentor groups of young women from schools across the UK. I asked the students about the subjects they were interested in and what careers they wanted to pursue. Although I was happy to hear ambitions in engineering, medicine, and business, I was equally depressed to learn that a number of students had been actively discouraged from pursuing creative subjects. I remember my own experiences as a GCSE student, being told art was a ‘risky’ and ‘soft’ option, and it seems the misconception around art and design education is still a worrying trend. Parents, teachers and careers advisors continue to need wider means of support in order to advise school and college leavers on the range of exciting career options available in our industry. Later in the day, I joined a Q&A panel to discuss the relationship between STEM and the arts, and if ‘STEM’ should, in fact, be ‘STEAM’? Part of the session focused on the notion that we either have a left-sided ‘scientific’ brain or a right-sided ‘artistic’ brain. It was wonderful to hear the scientists on the panel agree that creativity was an essential skill needed in order to innovate. STEM industries have a great need for creative thinkers and the two are not mutually exclusive. 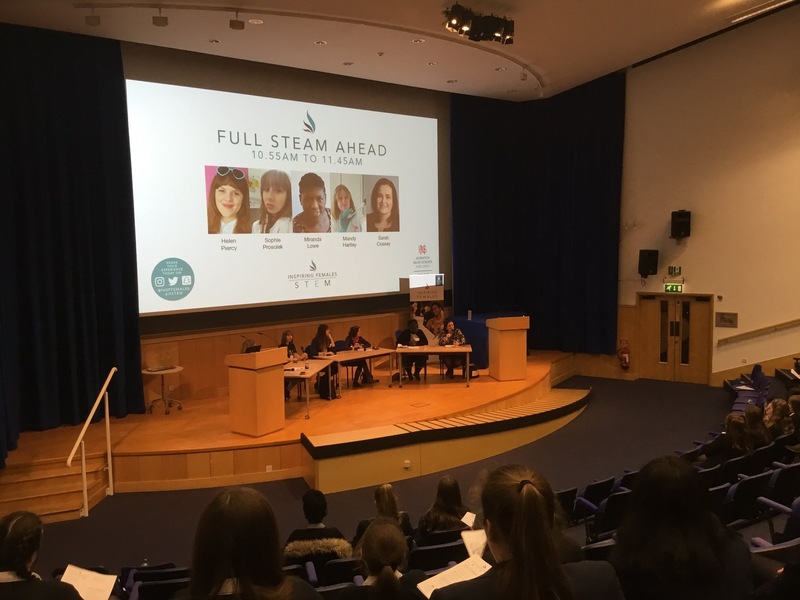 The Inspirational Females STEM conference was an incredibly positive experience and more events like this are desperately needed in order to empower the next generation of women. 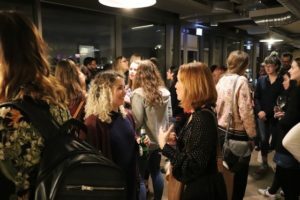 Visible female role models, parity in regards to male and female pay and outreach education are all important factors in the ongoing mission to generate a more diverse workforce in the science and creative industries. Helen Piercy is a multidisciplinary filmmaker, award-winning children’s author, professional educator and Advisor to the AWUK Board on all things Education. With degrees in Graphic Design (BA Hons) and Animation Direction (MA-The National Film and Television School), Helen began her career working as a freelance animator in London before launching her own business as a filmmaking educator in 2012. Her passion for supporting young people led her to become a student mentor for Central Saint Martins MA Character Animation Course. In 2016, she joined the BA (Hons) Animation Course at Norwich University of the Arts as a full-time lecturer. 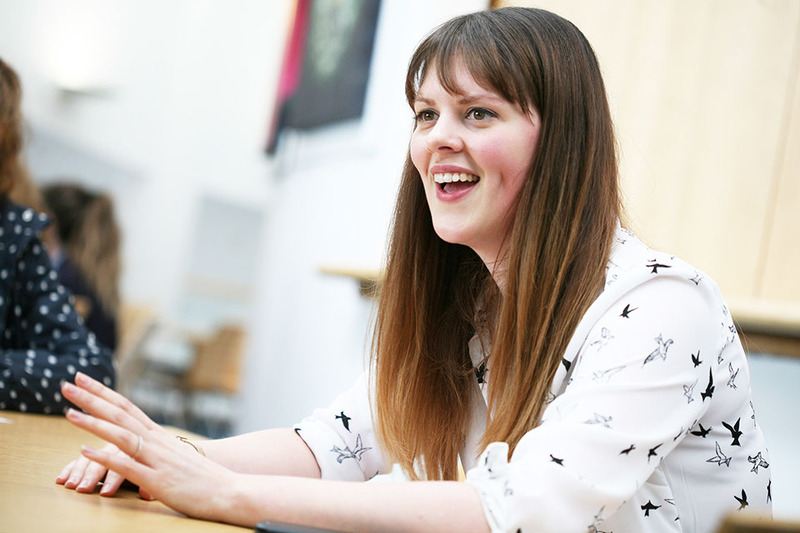 Helen completed her Postgraduate Certificate in Learning and Teaching in Higher Education in 2017 and is a fellow of the Higher Education Academy. What inspired you to start your own production company? I’ve always loved animation, moving image, and of course as a kid I was mesmerized by all things Disney! As a young girl, I spent all my time taking photos or in dark rooms. My parents would tilt their heads, look a bit confused and say “that’s nice dear” as I showed them photos of tree bark that I had taken. When I was older I studied Television Production at Bournemouth University and with my degree behind me, spent a few years working at production companies and other startups which I really enjoyed. Then out of the blue, my boss let me go. It was a massive shock and I was really lost for a while. One day, a friend commented that I’d been so involved in these production companies I might as well start my own. It had never really dawned on me that I could actually go and do it myself, but the idea kept buzzing around in my head. So… at 25, full of naivety, I started LoveLove Films, which was the most exciting and terrifying thing I have ever done. That’s brave! What challenges did starting your own company bring? The timing wasn’t great as I started the business 2010, in the midst of a recession. When the company first began, it was just me, my desk and far too much coffee for normal human consumption. However, things started to take off, I became an employer and rented a tiny shoebox office. One morning we came in to see an unexpected water feature – the ceiling had collapsed and water was running all over our filming equipment and computers. It was a pretty spectacular, but expensive waterfall! 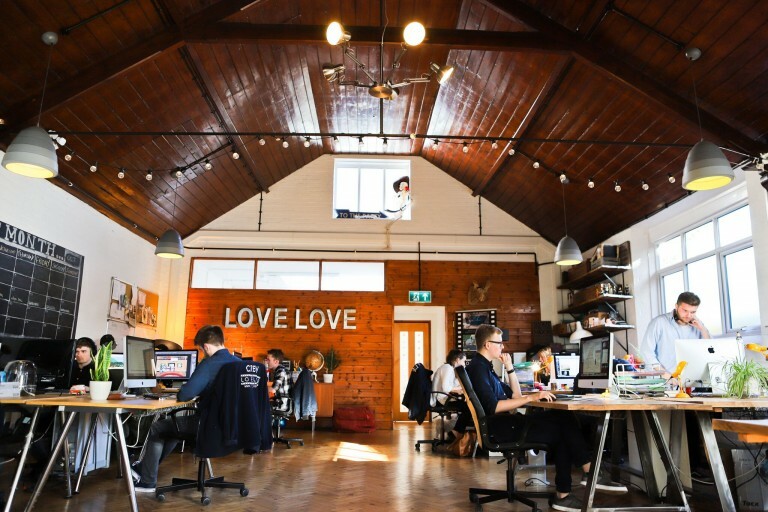 This actually proved to be a recurring theme with our studios…We moved to a lovely ex-gospel hall I found although it needed a lot of maintenance it had the space and high ceiling I had been dreaming of! The old landlord told me he would maintain the Gospel hall and fix it up, but to cut a long story short, he didn’t! The boiler broke down, the roof collapsed in the rain and the landlord spent his days on a broken ladder with a can of tar in one hand and tape in the other trying to patch things up. My team wore awful onesies in an attempt to beat the cold and we almost set the building on fire by having too many electrical heaters plugged in. This was an extremely challenging time. I spent a lot of my time struggling to sleep and popping into the office at 2 am when it was raining to check that the roof wasn’t leaking on our equipment. However, we managed to turn it around. 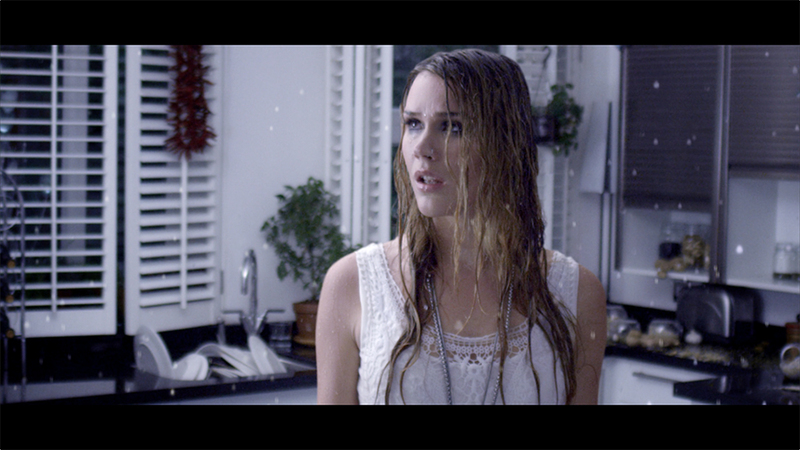 Warner Music commissioned us to produce a music video for a platinum-selling artist, and inspired by the threat of indoor rain, our concept featured indoor rain and ironically, built our own rain machine inside our studio (ha!). Watch the making of the music video. LoveLove Films has come a long way in a few years. 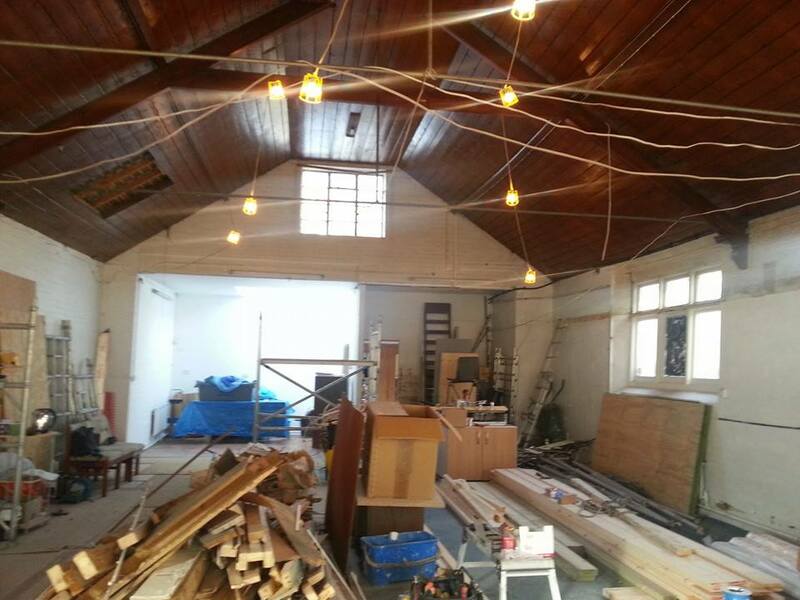 Eventually, I was able to buy the building from the old landlord and fully renovate it. That took many weekends covered in dirt, me trying to do a lot of DIY (thank goodness for YouTube), but I now had my own studio space, perfect for animating and filming in. What a journey…Logistics aside, how has the creative journey been? When we first started producing content, it was mostly live action, but as the company evolved and grew, we naturally started to produce more and more animation, and now animation accounts for approximately 75% of the work that we do. One of the things that I love about animation and inspired me to produce more of it is the endless possibilities. I started to feel very limited creatively with live action and animation provided a real outlet for this creativity! 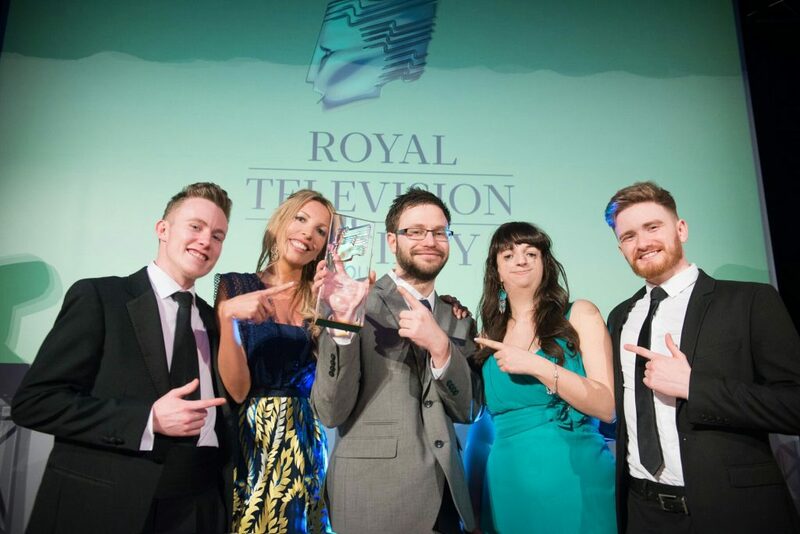 I’m lucky to have a great bunch of animators – in fact, our lead animator just won an RTS for our TV broadcast graphic work so I’m super proud of my wonderfully talented team! What kind of animations do you work on? We produce an array of different content. Last year we created graphics and titles for a variety of productions including BBC Films’ F1 Williams, Channel 4’s SAS: Who Dares Wins, ITV’s EasyJet: Inside the Cockpit, to name a few. We have produced over 50 TV campaigns, mostly animated, and are now setting our sights on producing longer form animated content – particularly for children’s TV. What has been your most enjoyable recent project? 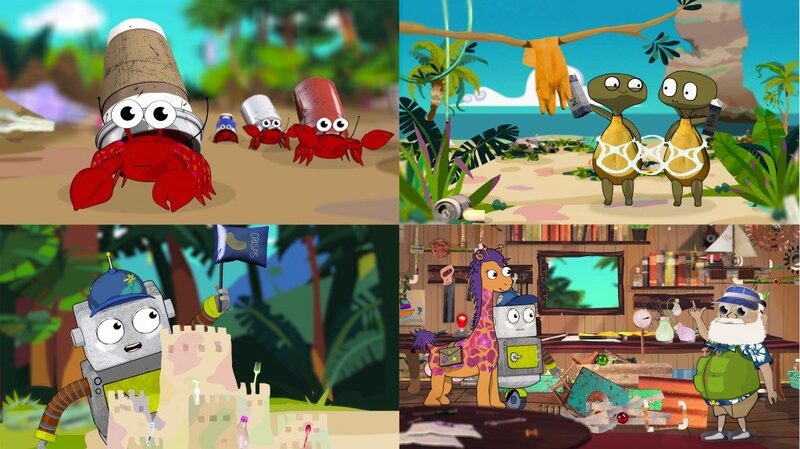 We recently produced an 11-minute pilot for our children’s TV IP ‘Bottle Island’, which we are collaborating with the United Nations on. The series is aimed at pre-school aged children and teaches them the importance of looking after the environment using a mix of 3D characters, 2D backgrounds and Live action elements. Bottle Island is our passion project and we shut the studio to all other work for 3 months to develop and produce the pilot, which I think demonstrated our belief in the project. Producing content with a great message that can be both fun and entertaining is very important to us as a studio and has influenced a lot of our recent work. We’re often commissioned by charities – especially those focussed on conservation and young people. Watch the trailer for Bottle Island. Have there ever been times when you’ve felt that being a woman may have impacted your career? Through the years running LoveLove I have encountered many obstacles. For me, it’s important not to see them as barriers, but as challenges to overcome. I always ask my team to look for solutions and don’t entertain a ‘can’t’ culture within the studio. After all – barriers are meant to be broken down. I was 25 when I started my company and often ran into negative and dismissive attitudes from people based on my age and gender. I would attend meetings with clients and have them ask when my boss was coming along. I’ve even been told that I couldn’t attend a networking event because it was for ‘serious businessmen’ or was ‘more of a boy’s club thing where we eat curry and talk business’! I was once even called ‘a little girl with an idea’ – it still makes me cringe today! However, I like curry and talking business, so I persevered. One of the biggest lessons that I have learnt throughout my career is not to stress too much about work. I have to remind myself that I run a studio and that I am not a doctor saving lives, so I try to make sure that I am being objective. I’ve also learnt that it’s okay to ask for help, and today I still often reach out to my peers for insight and advice. It is great to see a woman standing up for her ideas! Did you have mentors or support networks throughout your career that have really helped push you forwards? I’ve always had strong female influences in my life; my mum and sister are both extremely strong women (I have one memory from my childhood of my mum chasing some burglars away across a field with a garden fork!) who encouraged me to stand up for what I believe is right and to pursue my goals. I believe that women are equal to men, so why shouldn’t we run businesses, head up organizations and departments? It’s always OK to ask for advice and help. There is always something that can be learnt from speaking to the people around you, and this has been absolutely invaluable throughout my career. During development of Bottle Island, I have reached out to heads of studios for guidance in certain areas and they have been very welcoming and keen to give advice which is great and I think shows what a lovely community the children’s TV landscape is. How have you found the Helen North Achieve Programme? 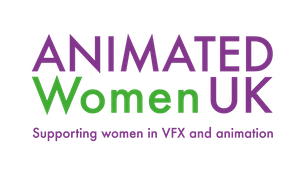 The Animated Women UK Helen North Achieve Programme is another fantastic support network for women in the animation industry. Being able to talk to like-minded women about issues that we all face and how to overcome them has been invaluable and inspiring. It’s great to be able to speak to women from fantastic organizations such as DNeg, Disney and Blue Zoo. The mix of career stages also provides a unique insight into what concerns other women in the industry. Personally, it’s also been really useful to hear about what these women want in their own organizations and then thinking about whether we can apply any of this at LoveLove Films. I’ve made some great new friends too! What changes would you like to see in the industry, both in general and with regard to women in the industry? I have noticed that in the children’s television landscape, women seem to dominate commissioning, which is fantastic! But when it comes to animators, I can certainly see more men than women. When we advertise for animators, so many more men apply than women. I’m really keen to push for more women in my team, particularly in the animation department. We already have a number of really fantastic and talented women that work for LoveLove Films, and overall the team has a 50/50 gender split, but having more women on our animation teams would be fantastic! Having a great team culture, where the team are more like friends than colleagues, is so important when it comes to running a regional animation and production company. Making sure that I encourage my team’s creativity and push for all of my team to achieve the very best that they can, regardless of their gender, is something that is so important to me and has certainly been integral to LoveLove Films development. Also being flexible and understanding each of the team members have lives outside of the studio is important – especially for team members that have children. I firmly believe the happier the team, the better the work we produce. How do you feel you might inspire other women who are thinking of starting a business and what advice would you give? I hope that I can act as a positive role model for women that are either looking to start their own business or get into video or animation production. At school, I wasn’t particularly academic – I’m super-duper dyslexic and was never in the highest sets, so I would like to think that I am a good role model in terms of what you can achieve with determination, good people skills and creative flair! The animation and video industry is tough and competitive, but also one of the most rewarding, and certainly, one of the most fun to work in. Most weekends I’m looking forward to Mondays as I love being in the studio with the team. With regard to starting out in the industry you really need to get out there and network! You can build your personal network both with online and offline. Check out festivals and talk to industry people. I’m a firm believer in “if you don’t ask you don’t get” (believe me I still chase people down the corridors – before slowing down and acting nonchalant ha!). 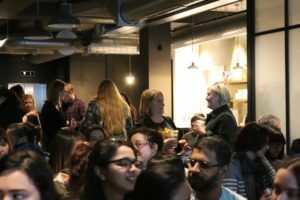 Go to talks, there are loads of fantastic groups like Animated Women UK, LinkedIn, Creativepool, and even animation and crew Facebook groups so join these too! In addition, lots of studios like Blue Zoo have fantastic internship programmes so check these out too! If you’re thinking of starting a business, just know that it’s full of chaos and uncertainty. In order to grow a business, a number of things need to go wrong for you to learn how things work. To be able to get through these more difficult times, you really need to love what you are doing and believe deeply in your business idea. Don’t limit yourself to other people’s expectations. I have come across a lot of no’s. The key to success is being persistent and resilient. Most importantly, I have learnt that if you find something you do love doing, then believe in yourself, have fun and just go for it! To find out more about LoveLove Film visit www.lovelovefilms.com. AWUK has announced Beth Parker, who manages the production of current series and development across Disney’s EMEA channels, as their new Animation Chair. 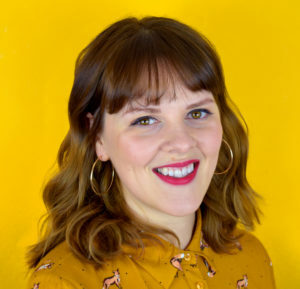 Beth takes over from Founder and current Animation Chair Lindsay Watson, who remains on the AWUK Board, but who is taking a step back to pursue other projects after nearly five intense years getting the organisation off the ground. Beth joins VFX Chair Louise Hussey - Executive VFX Producer at Double Negative - in setting the agenda going forwards. 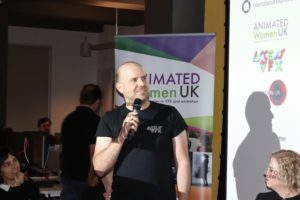 AWUK is a non-profit that exists to positively support, represent, celebrate and encourage women in the animation and VFX industries in the UK. Founded in 2013, they aim to change the gender landscape by building a vibrant network that facilitates mentoring, knowledge exchange and education resulting in women in animation and VFX fulfilling their potential. Beth started her television career in 1997 in Germany at a company that analysed applications to the Distribution Fund for the European Union’s MEDIA II Programme. Returning to London in 2001, Beth worked with executive producer Marion Edwards at Telemagination, taking over as managing director in 2004. Beth then moved to TV Loonland as head of production, simultaneously studying for a Masters degree in Social Policy and Criminology. 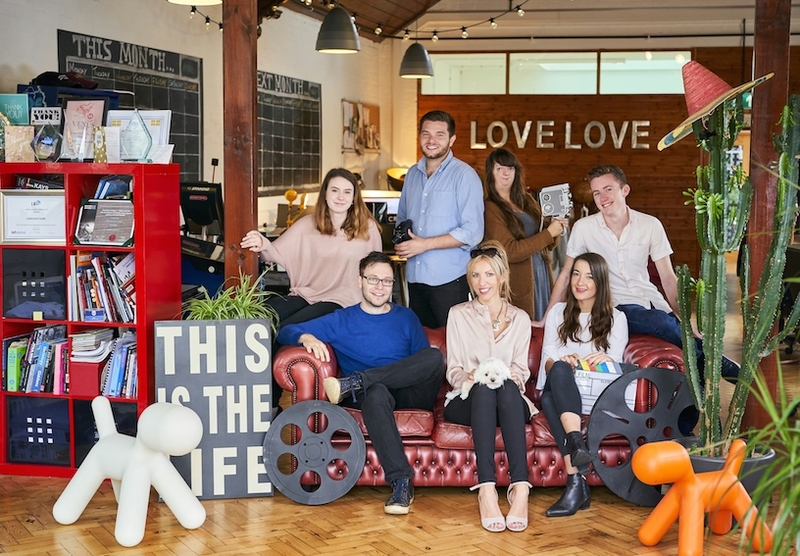 She went on to work for a major youth charity for three years before taking on consultancy work for both charities and animation companies including Hibbert Ralph Animation and Red Kite Animation. In 2014 Beth joined Disney to head up production for the Disney Channel network in Europe, Middle East and Africa (EMEA). She manages animation productions for Disney Junior, Disney Channel and Disney XD, from pre-school to ‘tween’. 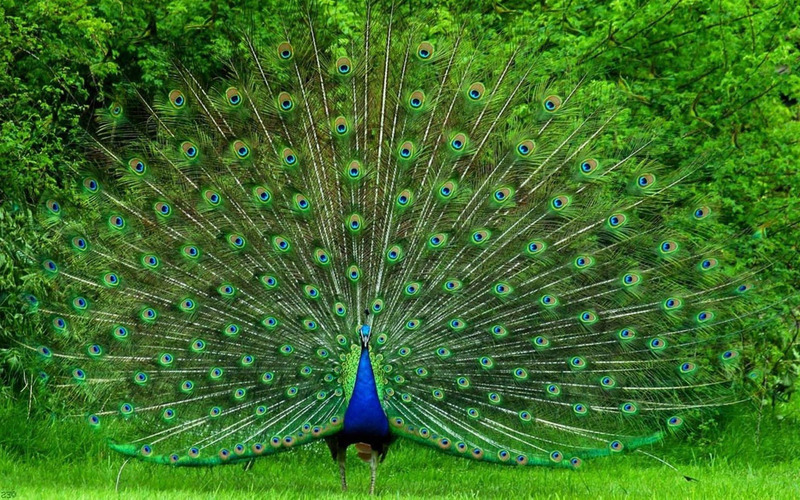 Show off your best work. Submit now for inclusion in AWUK Showcases. One of our key goals at AWUK is to showcase the great work of our members. We’re calling for submissions for upcoming showcases. Please fill in our form and share your work so that we can share it with the wider world. We’re really excited to see it. 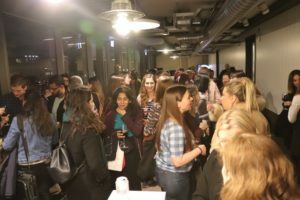 International Women’s Day 2019 | How can we positively impact gender balance?